We have seen an increase in overseas activities by our main subsidiaries. 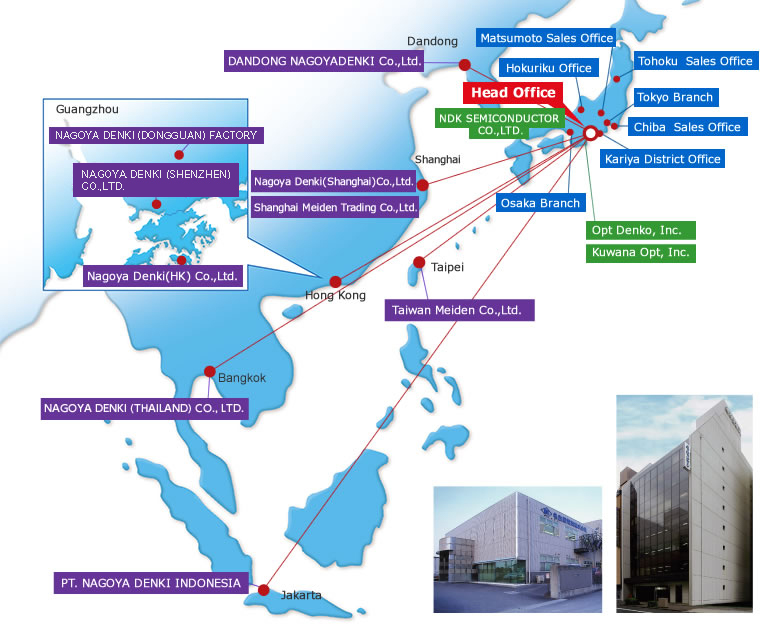 Nagoya Denki has continued enterprising activities, and has advanced our operations to include the supply of resources and the export of various devices and plants. To respond to the needs of our customers in Japan, we have focused on imports from Taiwan, Korea, Hong Kong and China, and have quickly produced results. NAGOYA DENKI (SHENZHEN) CO., LTD.
NAGOYA DENKI (THAILAND) CO., LTD.
THAI NAGOYA DENKI CO., LTD.